September was so good for me. I loved all the food-related events and shared more photos of food than my outfits this month. Don't worry, more outfit posts are coming, but take a look at what I did last month and follow along on Instagram @willbakeforshoes. At the beginning of the month, I was invited to a dinner kicking off the launch of TableRunner. TableRunner is a new food delivery service that delivers fresh, chef-prepared meals made with ingredients that are in season. It is like having a live-in professional chef making meals you want for the week. You can find more information on their website, but I was really impressed with how delicious the food was and how easy they made eating one of these meals at home. Just pop it in the oven, plate and enjoy! Their packaging is sustainable and can be shipped back to the company to be reused at no extra charge. I attended the Brit+Co. 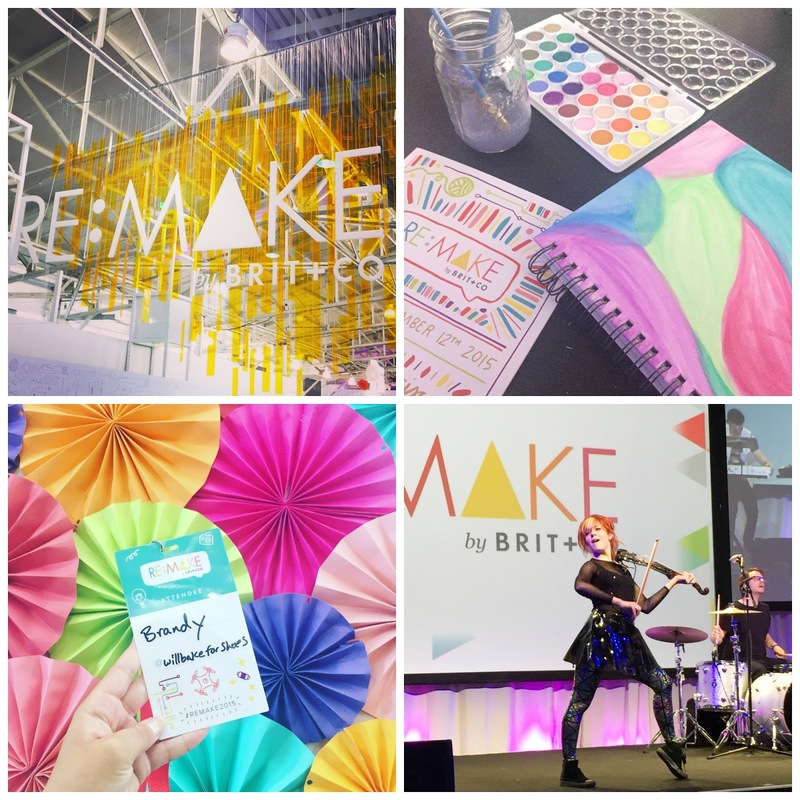 RE:MAKE 2015 Conference held at Fort Mason and I had a blast hearing the speakers and having a chance to paint while listening to topics related to being creative. I met Lindsey Sterling and saw her perform live again! 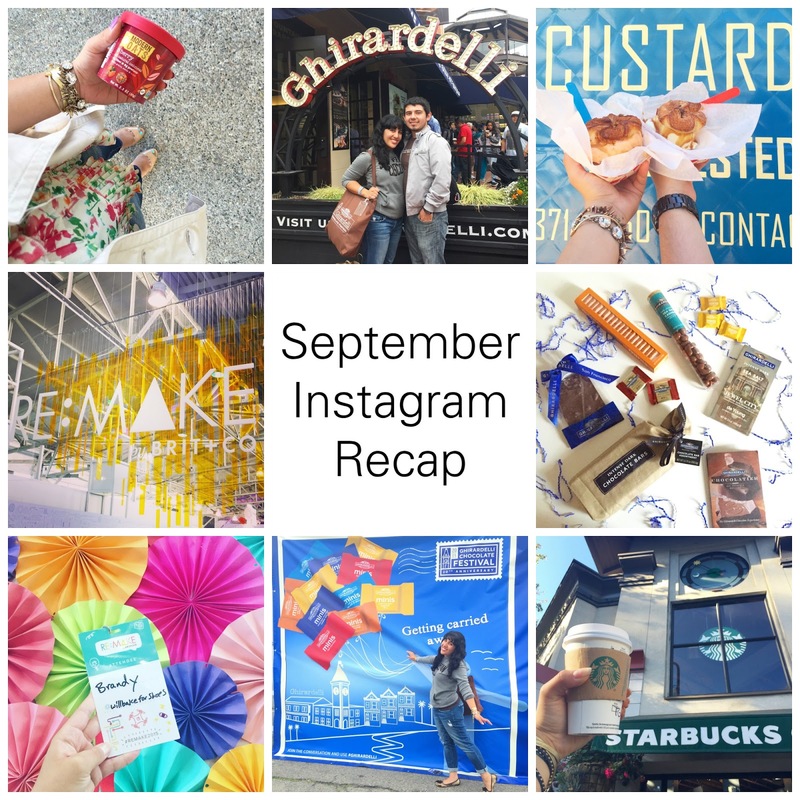 This event is one of the few things not food-related on here for this month's recap, but I did enjoy some delicious food for breakfast, lunch and for our snack breaks. 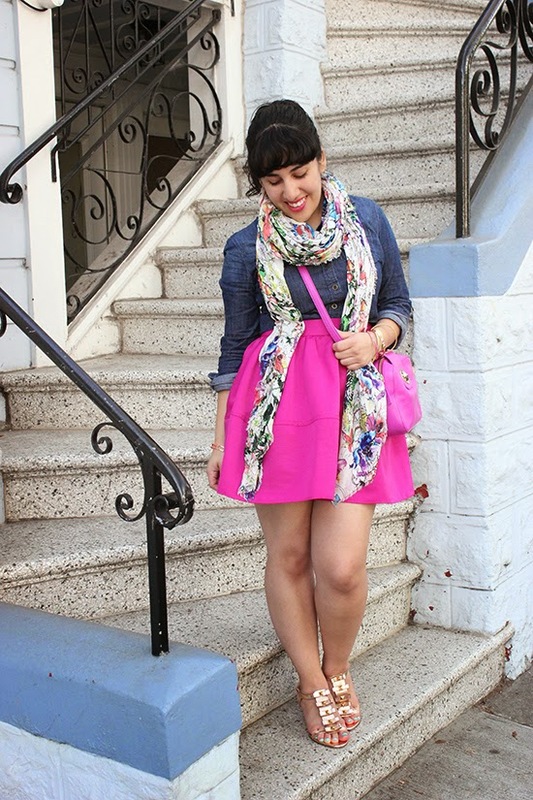 I also had a chance to meet the Founder, Brit Morin, and she liked the Kate Spade accessories I was wearing that day. Once again, Armando and I attended the Ghirardelli Chocolate Festival, this time invited as Media. We attended a workshop in the morning to see how a chocolate ghost was made and received some goodies before setting out to sample all the chocolate we could eat. 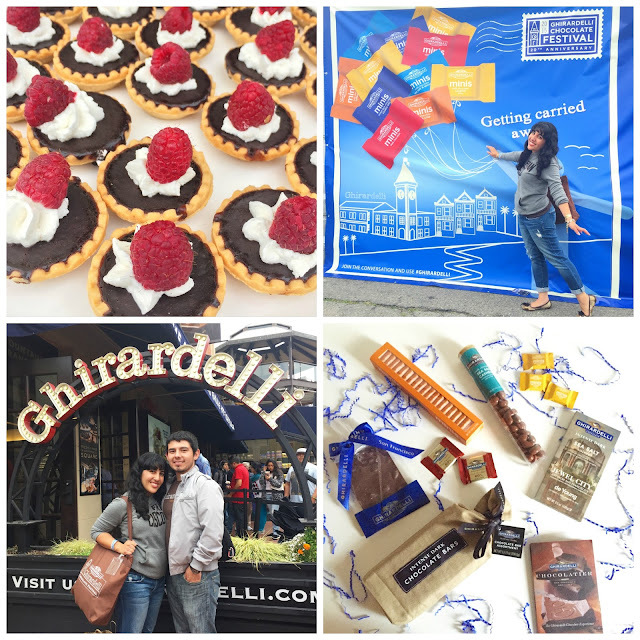 I plan on sharing a dedicated post of the chocolate festival since we tried so many good things! I might have entered the Ice Cream Eating contest, but you'll have to check out that post to see whether or not I won. 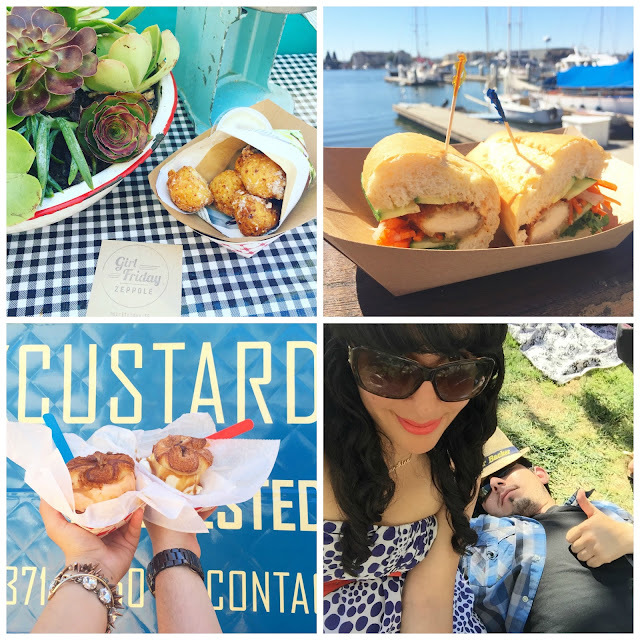 The weather made another drastic change and gave us a hot weekend when Armando and I attended the Eat Real Food Festival at Jack London Square (a big difference from the weather we experienced at Ghirardelli Square the previous weekend.) Our morning started with some delicious Zeppole donuts and Vanilla Fraiche dipping sauce by Girl Friday Zeppole. We washed it down with some Organic Raw Milk. For lunch, we had Coconut Milk Fried Chicken Banh Mih from Bicycle Banh Mih. We ate plenty of ice cream to withstand the heat, but our favorite treat was the Kouign Amann Sandwiches from Frozen Kuhsterd. I enjoyed some delicious cider and went home with a fun souvenir cup. I had the chance to try some new items for Breakfast. The first was some Oatmeal sent to me by Modern Oats. I plan on sharing a full review, but I have to say I am really impressed with how good this oatmeal tastes. It is nothing like other oatmeals and is in the perfect container for someone on the go. 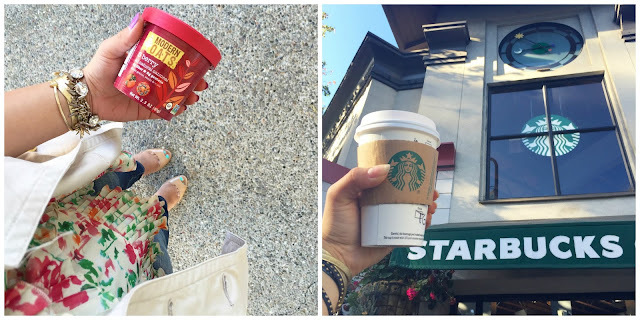 I also had a chance to try the new Toasted Graham Latte from Starbucks. I was never a Pumpkin Spice Latte fan, but I am all for this new latte. It is perfect to enjoy while being bundled up in layers and enjoying the crisp Fall breeze. My last food event of the month was hosted at AQ restaurant on Mission Street in San Francisco. Guinness hosted a launch party introducing their Nitro IPA. The restaurant features seasonal menus and decor, and I really liked that about the place. I enjoyed my dinner and liked having a chance to taste the new IPA. I am not sure I would say it's my favorite, but I am still developing my taste for beer. 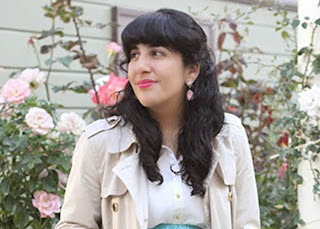 I wanted to take a look at last month's outfit posts since most of them featured a little bit of blue. 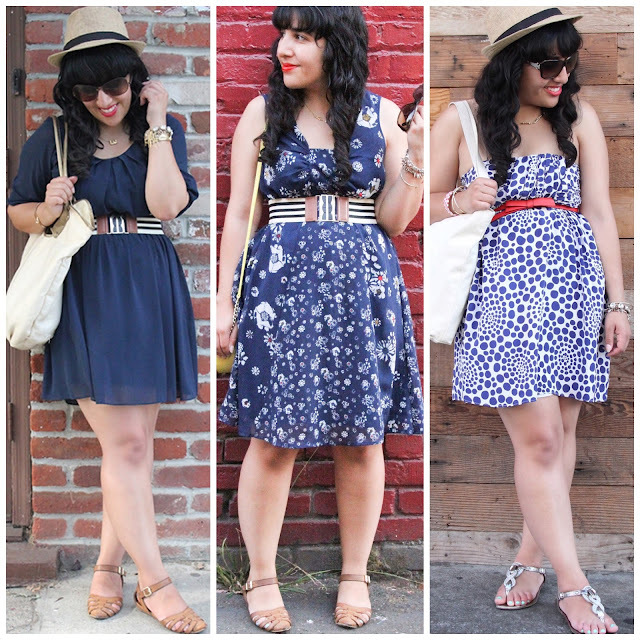 The weather was still warm enough for summer dresses, but I am looking forward to the Fall weather here in the Bay Area. Two of these dresses are available for sale in my closet on Poshmark, so pick them up while you can. Hope you enjoyed my September recap! Here's hoping October is even better!